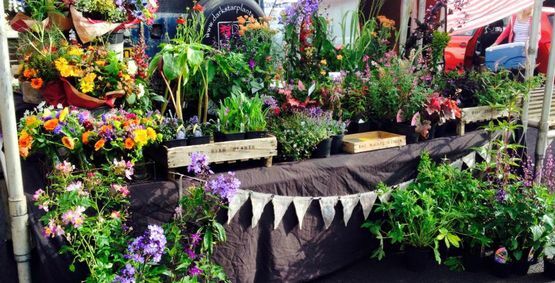 At Dark Star Plants, we regularly attend Farmers Markets with our stunning plant & cut flower range. A great way to spend the day. We attend plant fairs & open gardens in Yorkshire selling our range of plants amongst beautiful surroundings. 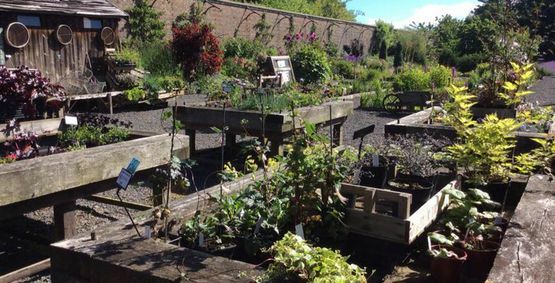 Contact our plant nursery in North Yorkshire, when you would like to find out more. We invite you to delight in a stunning range of plants & flowers, grown in our unique Walled Garden steeped in history in North Yorkshire. Our plant nursery is the perfect place for you to explore, with seating areas placed within the garden setting, where you can stay a while & discover more about the history of the site, Rounton Grange and its famous resident, Victorian adventurer Gertrude Bell. We look forward to welcoming you in the tranquil environment of the Walled Garden. Shaun Passman & Jenny Gaunt. Thursday, Friday, Saturday, Sunday, 10:00 a.m. – 4:30 p.m.